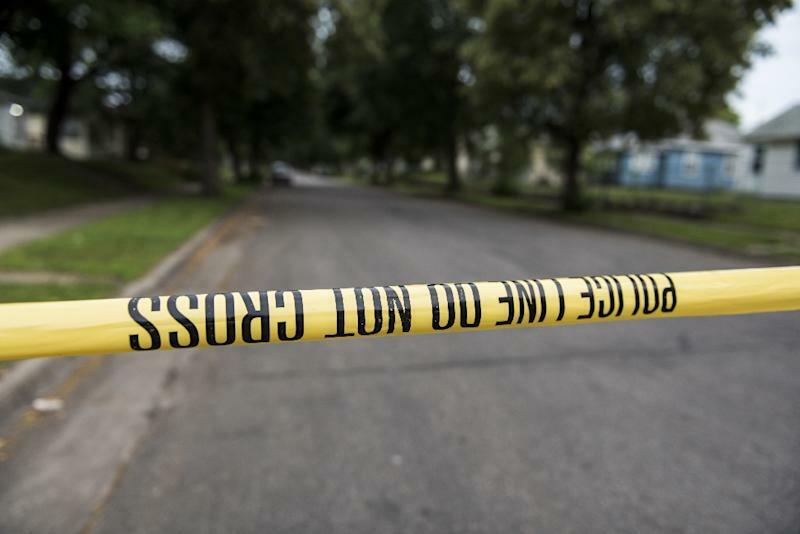 Los Angeles (AFP) - A man went on a shooting rampage in California on Wednesday, killing five people including his wife, before taking his own life, a police spokesman told AFP. The shooting in Bakersfield in central California was possibly "a domestic violence incident," said Lieutenant Mark King of the Kern County sheriff's office. Police received their first call at 5:19 pm before responding to the first location, a trucking company, where the rampage began. Three people were killed there and the shooter, armed with a large caliber hand gun, fled. Sheriff Donny Youngblood told reporters that the suspect first shot a man at the trucking company and then killed his wife. He chased a person who had witnessed the shooting and killed that person, too. He reportedly then fled and shot two people at a house. Police then received a call from a woman who said she had been carjacked. Officers gave chase and the suspect pulled into a business, got out of the car and shot himself, King said. The fatalities were three men and two women. No names were released. "This is the new normal," said Youngblood. He said the officer who confronted the suspect wore a body camera, but the footage has not been released. Americans make up only four percent of the global population but they own 40 percent of the world's firearms, according to a recent study published by the Graduate Institute of International and Development Studies in Geneva. Of the 857 million guns owned by civilians, 393 million are in the United States -- more than all of the firearms held by ordinary citizens in the other top 25 countries combined, according to the Small Arms Survey. According to Gun Violence Archive, the mass shooting in Bakersfield is the third deadliest in the United States this year after a shooting at a school in Parkland, Florida that left 17 people dead and one at a school in Santa Fe, Texas, in May that left 10 people dead.